Replacing your missing teeth does more than just restore your self-confidence. It has a direct impact on your facial profile, chewing capabilities and the health of your adjacent teeth. A beautiful smile is always in style. At Epping Family Dental, our All-on-4™ implant specialist, Dr Jeremy Lung provides quality All-on-4™ dental implants to help you maintain a naturally healthy smile that can last the rest of your life. We offer free or no-gap consultations, accept all health funds, offer flexible payment plans and offer discounts based on how many implants you need. Call (02) 9868 6288 now to learn more or book your no-obligation consultation! With this affordable, innovative technique, an entire arch of teeth can be reinforced by just 4 implants. In the past, sometimes as many as 10 implants would need to be placed per jaw, necessitating a longer recovery time and more post-op pain. The implants, which have a high success rate, can be utilised in either the upper or lower jaw to support stable replacement teeth that appear, feel and function like natural teeth. The procedure, which involves local anaesthesia for your comfort, may take as little as 1-3 days. 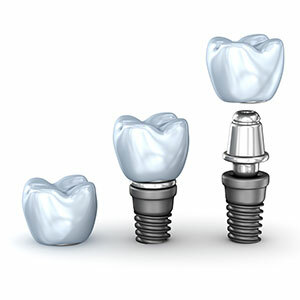 Find out if All-on-4™ dental implants are right for you. Call (02) 9868 6288 or book your free, no-obligation consultation today! At Epping Family Dental, we believe that a great smile shouldn’t cost a fortune. This is why we offer free or no-gap consultations, accept all health funds, offer flexible payment plans and give discounts based on how many implants you need. Get your perfect smile at Epping Family Dental!